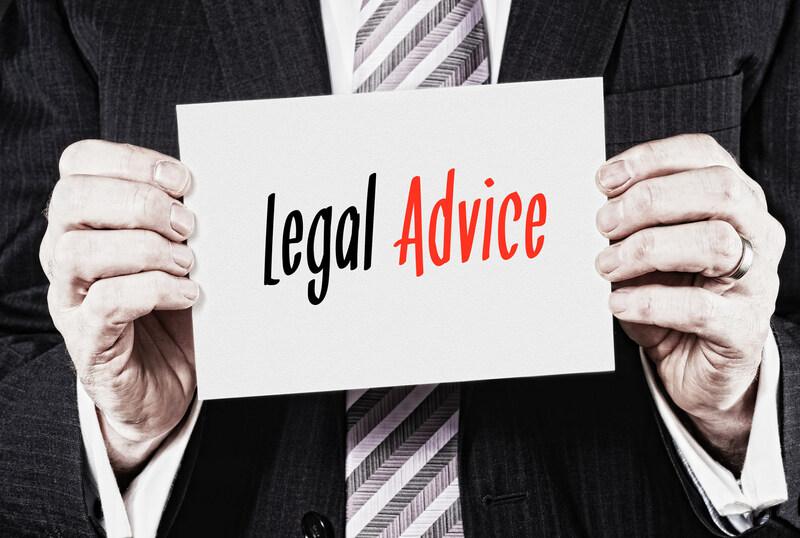 If you do not have enough money to hire a Singapore lawyer for divorce proceedings, you may want to consider approaching the Legal Aid Bureau (“LAB”) for legal aid. The LAB is a department of the Ministry of Law that focuses on providing legal aid and advice to persons of limited means in civil matters such as contract claims, tenancy disputes and family related matters such as divorce, custody of children, maintenance and family violence matters. The LAB does not cover criminal matters. If you require assistance for criminal matters, you may approach the Criminal Legal Aid Scheme which is run by the Law Society. It’s a common misconception in Singapore that legal aid is free. Let’s get things straight – legal aid is NOT free and you may be required to pay a contribution sum. This contribution sum goes towards the costs of work done for your case. The amount you will have to pay as a contribution sum is assessed on a case by case basis and will depend on various factors such as your means, the nature and complexity of the case and the amount of work done. If you are unable to pay the contribution sum in full, you may request for the sum to be paid via instalment. If you have financial difficulties, you may also appeal for the sum to be reduced or waived. What does Legal Aid cover? 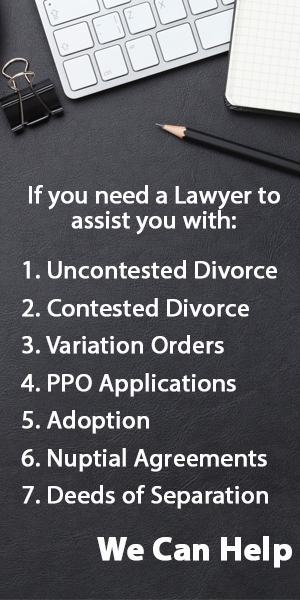 Upon a successful application for legal aid, you will be able to receive help for legal advice, legal assistance and legal aid for your divorce. Getting representation for you if the divorce goes to trial. However, the legal aid granted to you may not necessarily cover your whole case. Legal aid may only be granted for certain stages of the action such as negotiation or mediation and not for the entire proceedings. How much it will cover will depend on the terms of the grant when it is granted to you. Apart from help on legal matters, the LAB may also refer you to other social services for help with family violence and financial matters if the need arises. As legal aid is only available to those of limited means, there are a number of requirements to meet before being granted legal aid. A Citizens or resident of contracting states who are involved in applications under the Hague Convention on the Civil Aspects of International Child Abduction. If you are one of the above, then you must then pass the Means and Merits test. You will need to clear both parts in order to pass the Means Test. To pass the Means Test, you must not have more than $10,000 of disposable income and not more than $10,000 of disposable capital. The income part will look at the total disposable income of your family. In the case of a divorce, the income of your husband/wife may be disregarded if you are living separate and apart from your spouse and if it would be reasonable to the LAB to disregard your spouse’s income. In assessing your disposable income, the LAB will look at the total income of you and your spouse for the last 12 months prior to the date of your application. Your income + Spouse income for the last 12 months before the date of application. If after all the deductions you are left with less than $10,000, you will have passed the income part of the Means Test. The capital part of the Means Test will generally look at the assets you have minus certain exceptions. These include your clothes, tools of trade, the household furniture in your house, your home, savings of up to $30,000 if you are above 60, money in CPF account and up to $46,000 of life insurance policies. If after all the deductions, you have less than $10,000, you will have passed the capital part of the Means Test. The LAB has provided a short questionnaire that determines if you are likely to qualify for legal aid. You can take a look at the questionnaire here. The second test is the Merits Test. Under the Merits Test, the circumstances of your case will be examined by the Legal Aid Board. You will only pass the Merits Test if the Legal Aid Board determines that you have reasonable grounds for taking, defending, continuing or being a party to the proceedings. What if I Fail the Means and Merits Test? If you do not pass the means test or merits test, there is no further appeal. You will have to seek private legal assistance. However, if you fail the means test but have suffered from a sudden physical or mental disability or a sudden loss of income, the Director of LAB has the authority to take into account a different set of variables that may allow you to pass the means test. Therefore, if you have any special circumstances you may wish to bring them up during your application for legal aid. You can make your application for legal aid at the LAB office at 45 Maxwell Road #07-11, URA Centre East Wing. Monday to Fridays, 8.30am to 5.00pm and Saturdays 8.30 to 12.pm. Alternatively, you can make an online application at https://www.mlaw.gov.sg/eservices/labesvc/. If you are under 21 years old, your parent or guardian must apply on your behalf. Upon an application for legal aid, the LAB will also do a preliminary Means Test and find out more about your case. If you pass the preliminary Means Test and you require immediate legal assistance or advice, you will be directed to see the Duty Officer for a legal advice session or to open a legal aid file. After your legal aid file has been opened, you will be given another appointment where a more detailed means test will be conducted. You will be required to bring supporting documents to verify your means as well as documents that support your case. If you pass the detailed Means Test, you will then be given another appointment with a legal executive at the LAB so that your case can be recorded formally in the form of a statement. Once you have given your official statement, your file will then be reviewed to determine whether your case passes the Merits Test. After the Merits Test is completed, your file with the results of the means and merits test will then be handed to the Legal Aid Board who will then make the decision on whether legal aid should be granted. After the decision is made, you will be informed of the decision. If your application for legal aid is granted, you will be informed of the terms of the grant. The terms will tell you what the grant covers. If you accept the grant, you will then be required to pay the contribution sum, if any, before any further action will be taken. The whole process from registration to issue of the grant usually takes at least 4 months. However, depending on the complexity of the case and whether all documents are provided, the process may take longer. Can I Apply for Legal Aid once Divorce Proceedings have started? Yes, you may still apply for legal aid once divorce proceedings have started. Once you have made an application for legal aid, you should inform the LAB that proceedings have begun. The LAB will then notify all relevant parties involved in the proceedings of the application for legal aid and file a notification in the court to pause proceedings pending the legal aid application. It is also worth noting that if legal aid is granted after proceedings have commenced, legal aid will not cover any costs of the proceedings incurred before the grant was issued. 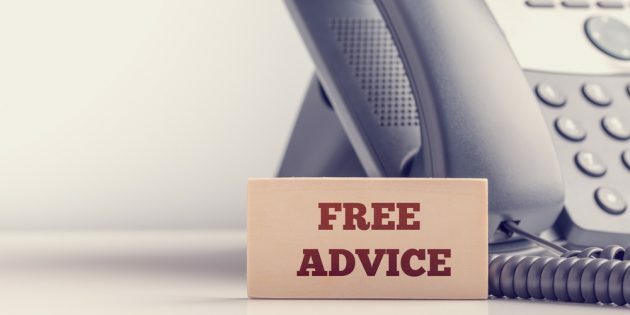 What if I Need Help Urgently for my Divorce? If you urgently need help from legal aid with your divorce and there is not enough time to complete the normal procedure, you may request for a Provisional Grant of Aid from the LAB. If a Provisional Grant of Aid is granted, you will be able to receive help for your divorce. Don't qualify for Legal Aid? Hire us to do your Uncontested Divorce. We answer all your queries within 24 hours.